Screenplay: Roberto Orci, Robert Kurtzman. 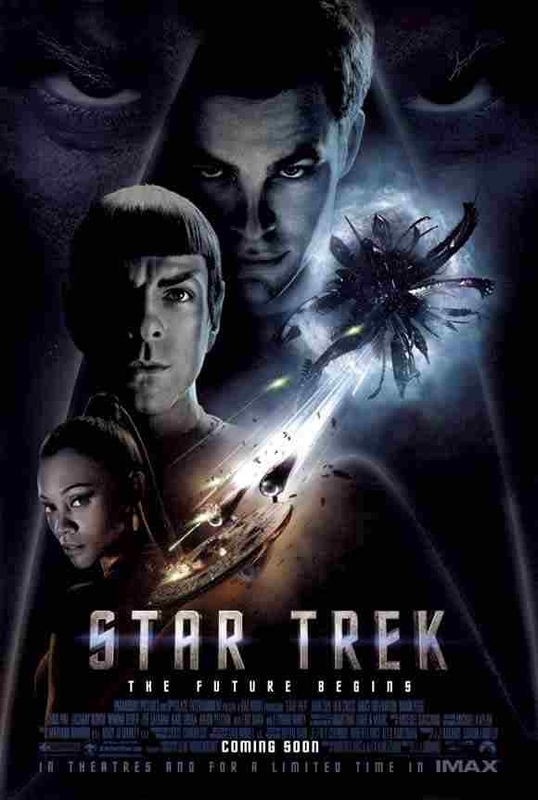 Starring: Chris Pine, Zachary Quinto, Karl Urban, Simon Pegg, Zoe Saldana, Anton Yelchin, John Cho, Eric Bana, Leonard Nimoy, Bruce Greenwood. Chris Hemsworth, Winona Ryder, Ben Cross, Jennifer Morrison, Faran Tahir, Clifton Collins, Jr, Tyler Perry. Director J.J. Abrams, better known for TV’s “Lost”, injects a much needed adrenaline shot back into Gene Roddenberry’s “Star Trek” and brings back the sheer indulgence of the franchise. An origins story taking us back to the beginning of how James Tiberius Kirk became Captain of the ‘U.S.S. Enterprise’ and how the crew was assembled. Abrams doesn’t mess around with this one. He’s quick to realise the franchise was dying a death with the previous films losing steam and he’s quick to deliver the action and edge of your seat set-pieces. No easy task, considering he had to re-imagine the story and focus on character development, introducing us to the crew of the Enterprise all over again. With this, there’s a real danger of the story dragging, resulting in less focus on the action, but to Abrams’ credit he uses exciting moments to indroduce Kirk, Spock, Bones, Scotty etc and even makes them more rebellious in their youth. It’s a great approach and despite these being pop-culture characters, that most of us know from our childhood, we get the chance to reacquaint ourselves with them and the actors involved do a fabulous job of making the roles their own. A tense and explosive re-imaging that promises to get even better. This entry was posted on January 24, 2012 at 10:24 pm and is filed under Action, Adventure, Science Fiction with tags 2009. You can follow any responses to this entry through the RSS 2.0 feed. You can leave a response, or trackback from your own site.